The Balance of Plant (BoP) is a power engineering term which refers to the various supporting and auxiliary components of a power plant system required to produce energy. BoP systems provide the support needed to keep the plant running stably and efficiently. Some important balance of plant components include inverters, transformers, switchgear, circuit breakers, etc. while the primary power generating equipment includes turbines, power generators, etc. A BoP power plant system is comprised of both electrical and mechanical devices. Let’s take a look at the two in closer detail. Power transformers – Used to step up or down the voltage to required levels to keep the plant running efficiently. Transformers work using a number of core windings which transfer electrical energy via electromagnetic induction. Auxiliary transformers – Work alongside the power transformers to supply power to the various auxiliary equipment of the power plant during normal operation. Circuit breakers – Automatic power cut-off/switching devices used for overcurrent and short-circuit protection in power plants. Circuit breakers are essential EBoP devices which help prevent damage to sensitive components of the power plant. Switchgear – Similar in function to circuit breakers, the switchgear is a combination of switching devices, fuses, and circuit breakers. The primary function of the switchgear is to isolate sections of the electrical systems where a fault has been identified. Power plants utilize both high and low-voltage switchgear for overcurrent protection in devices such as transformers, motors, pumps, etc. Surge arresters – Surge arresters are devices used to provide overvoltage protection in power plants. They are typically connected between a conductor terminal at the point of connection to equipment and an earth point and channels overvoltage away safely as soon as it occurs. Power surges or transient voltages can damage electrical components if left unmitigated. Electrical busbars – Busbars transmit electrical energy from the generating section to step-up transformers. A busbar is a strip of naked copper metal usually housed inside a panel board or switchgear and enables high power distribution. Fuel Gas Conditioning Systems – Fuel gas conditioning systems are designed to remove solids, liquids, and aerosols from natural gas. Aspen Plus Process Simulation is used to insure the gas is heated to 50 degrees F above the dew point. 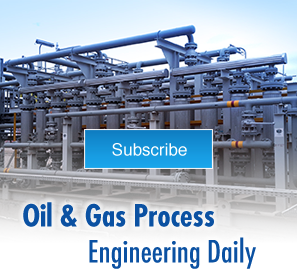 Pressure Reduction Systems – Designed to reduce gas pipeline pressure safely and accurately to meet the gas turbine or reciprocating engine maximum inlet pressure. Aspen Plus Process Simulation is used to prevent freezing. NOx Reduction Packages – NOx Reduction is accomplished by injecting anhydrous or aqueous ammonia into the combustion turbine exhaust, then across a catalyst bed to convert NOx to nitrogen and water vapor. NOx Reduction Packages include Ammonia Flow Control Units, Ammonia Unloading Stations, Ammonia Forwarding Packages, etc. Nitrogen Generation Packages – Nitrogen is used for seal gas, vessel purging, and other utility applications. Nitrogen generation packages are designed to deliver continuous supply of 95% – 99.95% pure nitrogen gas. Fire protection systems – Fire protection systems prevent and respond to accidental combustion in generating equipment like the combustion cans of the turbines. When a fire is detected, the system immediately sounds an alarm, trips the plant, and initiates procedures to extinguish it. Fire protection systems are a critical component of MBoP systems which safeguards both the asset and personnel on site. Compressed air systems – Provide a continuous supply of compressed air (air above atmospheric pressure) to operate pumps, pneumatic valves, guide vanes, and other equipment in the power plant. Two types of air are required in a power plant – instrument air and service air. Instrument air is used to operate the equipment while service air is used to maintain the plant (e.g. cleaning, purging, drying). With the right choice of auxiliary electrical and mechanical systems, it is possible to optimize the efficiency and reliability of industrial power plants. BoP engineering significantly reduces operational downtime, translating into enhanced productivity and bottom-line. Looking for industrial power generation process systems from industry leading process skid manufacturers? Integrated Flow Solutions (IFS) is a market leader in the design and manufacture of modular production systems for the power generation industry. Our balance of plant packaged pump skid system is designed to minimize field assembly and keep your plant downtime to a minimum. We offer a wide range of skid-mounted, modular packages which are all performance-engineered and quality-assured to meet international standards. A team of experienced engineers is also ready to provide technical support when you need it.